For the past 30 years I have had two passions – machine learning (ML) that makes a difference in the real world and increasing diversity in computer science (CS). For the first 26 years, I focused on my first passion and developed new approaches to ML though applications to remote sensing, neuroscience, digital libraries, astrophysics, content-based image retrieval of medical images, computational biology, chemistry, evidence-based medicine, detecting lesions in the MRIs of epilepsy patients, and predicting disease progression for MS patients. For the last four years, my focus has been on my second passion: increasing diversity in CS. Although I’ve always been active both in my own university and on a national level on diversity initiatives, serving as a board member and co-chair of CRA-W, I now spend close to 50% time on creating, fundraising for, and evaluating initiatives for encouraging women and under-represented minorities (URM) to try computer science. 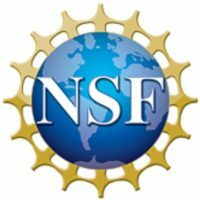 In my experience at both Tufts University and Northeastern University, if members of underrepresented groups try computer science, they go on to make this a major field of study in the same proportion as majority groups. My role as dean of Computer and Information Science (CCIS) at Northeastern enables me to focus on diversity in CS; as a dean, I have the resources and opportunity to pilot many ideas, and based on the outcome I can scale the ideas that prove effective. The mission of CCIS is “CS for Everyone.” We have several initiatives designed to meet that goal and demonstrate that CS can be meaningfully combined with other fields of study, increasing the diversity of thought and demographics in CS. To this end, the combined majors program, allows students to choose majors from two colleges across the university, and it has led to significant increases in the number of women majoring in computer science at Northeastern. The required elective and capstone classes are carefully vetted by faculty from both CCIS and the other department or college before being approved by university governance. This is in contrast to a double major which would be difficult to complete at Northeastern because the majority of students go out on two or three six-month work experiences (co-ops) at one of our 500 partner companies. In the last four years, we have grown the number of combined majors from 12 to 30, with recent additions such as philosophy, English, history, linguistics, economics and health sciences. Our 30 combined majors span all CCIS undergraduate degrees (data science, information science, CS and cybersecurity), and we anticipate adding 10 additional combined majors this year. In Fall 2018, 907 of CCIS’s 1807 majors will be combined majors. Across all majors, 26% of students are women. What is particularly striking is that women make up 33% of our combined majors versus 19% of our non-combined majors. About 50% of URM students are in the combined major versus 50% in the non-combined major, which is similar to non-URM students. We anticipate that our numbers will go up because our entering 2018 class is a record breaking 33% women and 15% URM. Our second initiative stems from our belief that all university graduates should know some CS, but CS is not explicitly required at Northeastern. Our Meaningful Minors in Computer Science – is an initiative to customize each student’s minor to their major field of study. Everyone starts with the same two required introductory classes and then selects three remaining courses relevant to their major. A biology major might take algorithms, ML, and computational biology; a media studies major might take data visualization, introduction to data science, and web programming; and an English major might take introduction to data science, natural language understanding, and digital humanities. The key to the program’s success is that all academic advisors are trained to help guide students to the electives most relevant to their major interests. Since implementing this initiative in Fall 2016, we have seen the number of minors double from 120 to an estimated 250. Due to the young age of this program and the fact that we cannot see if a student completed a meaningful minor until graduation, we are still evaluating the impact of Meaningful Minors. The last initiative is an MS in CS for people who did not study CS as undergraduates. Too many people self-select out of CS without trying it in college – this new MS in CS provides a pathway to CS and allows us to take the decision of who is in tech out of the hands of 18 year olds! Northeastern’s Align MS in CS program is a 2.5 year experiential master’s program for college graduates with degrees outside of CS. The program starts with two semesters of preparatory courses and is followed by a wide variety of master’s courses. After completing two semesters worth of master-level courses, Northeastern helps students find a six-month co-op (a paid internship from our network of over 500 companies with an average salary of $35k). Students then return for a final semester of classes. Classes are held in the evening to enable students to keep up with their other life commitments. Campuses in Boston, Seattle, Charlotte and the bay area, allow this program to reach a wide population of students. With a 93% retention rate and a 100% graduate employment rate (with $100k+ salaries), the four-year pilot program has been a success. Currently the program has 360 students enrolled with diverse undergraduate majors such as English, economics, philosophy, chemistry, political science, biology, aerospace engineering and more. Northeastern’s goal is to scale this program over the next four years to produce more than 1,000 graduates per year whose demographics reflect those of the U.S. college graduate population (50% women and 25% URM). A larger goal of this initiative is our hope that the Align MS in CS is replicated by other universities, making the MS in CS like the MBA and JD – a degree people can obtain after an undergraduate degree in another field. The Align program provides a new pathway to tech for the millions of people who have already graduated from college and thus is likely the fastest way for universities to help solve the lack of diversity in tech. 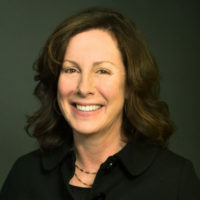 Carla E. Brodley is the dean of the College of Computer and Information Science at Northeastern University. Prior to joining Northeastern, she was a professor of the Department of Computer Science and the Clinical and Translational Science Institute at Tufts University (2004-2014) and on the faculty at Purdue University (1994-2004). A Fellow of the ACM and AAAI, Dean Brodley’s interdisciplinary machine learning research led to advances not only in computer and information science, but in many other areas of science, engineering and medicine. Dean Brodley’s numerous leadership positions in computer science as well as her chosen research field include serving as program co-chair of ICML, co-chair of AAAI, and associate editor of Machine Learning, JAIR, and JMLR. She has previously served on the Defense Science Study Group, the board of the International Machine Learning Society, the AAAI Council, and DARPA’s Information Science and Technology (ISAT) Board. She is currently serving on the CRA Board of Directors, as a member-at-large of the section on Information, Computing, and Communication of AAAS, and as a member of the advisory committee for NSF’s Directorate of Computer and Information Science and Engineering.